The Stena Europe superferry is a bright spacious ship with all the onboard facilities at hand to make your journey as relaxing and fun as possible. 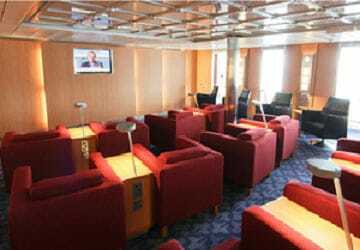 You can sit back and relax in the exclusive Stena Plus lounge, grab a coffee in the Barista Coffee House or if you prefer, indulge in a little retail therapy - you’ll be spoilt for choice onboard. There's a choice of 2 and 4 berth excellent value for money cabins available and all are fitted with shower, toilet, bed linen and towels. 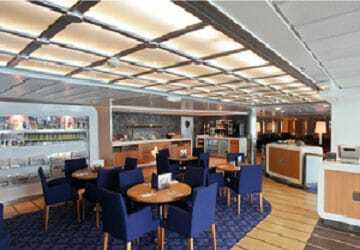 The Stena Plus lounge features a choice of comfortable seating, complimentary drinks, snacks and newspapers, a dedicated waiter service and much more! 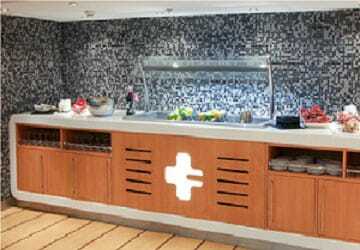 The Stena Plus option which can be pre-booked or you may upgrade when onboard if space permits. 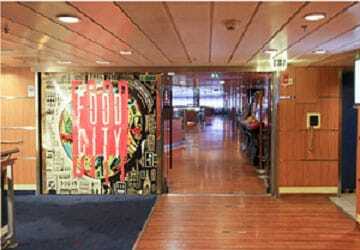 The Food City restaurant offers a range of tasty hot food options including fish and chips, steak pie and pasta. A selection of kids meals, healthy options, plus great value meal deals are also available throughout the day. A bar service is also available at the Food City counter. The Barista Coffee House offers a selection of speciality Italian coffees and teas, a range of sandwiches, scones, hot and cold snacks and ice creams. Sip your coffee in the contemporary Italian style surrounds, relax in plush seating and enjoy excellent views. The Met Bar is located within the Food City restaurant, serving a range of continental beer and wines, allowing you to chill out and watch the big screen TV. 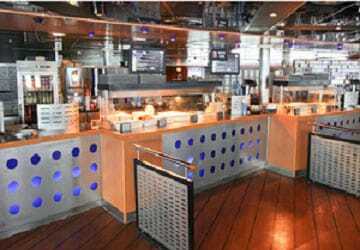 The onboard ship features a range of gifts, jewellery and fragrances with prices on average 50% cheaper than the high street. There's free movies in the cinema, free wifi, a bureau de change and an atm machine. 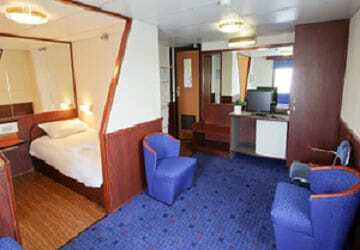 Television screens are also dotted throughout the ship for your viewing pleasure. 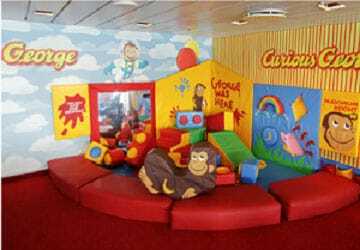 There's a Curious George™ themed play area on the Stena Europe that provides a safe and fun environment for kids showing the popular “George” DVDs. There are bead trees, memory blocks, colouring stations and chalk boards to keep kids occupied! The 'Teen Town' area features the very latest in video game technology and also includes free internet stations. 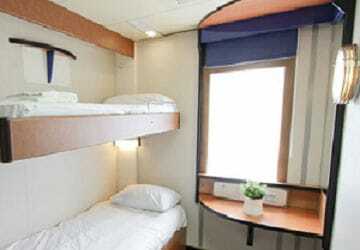 The ship is wheelchair friendly with lifts to all decks and specially adapted cabins for wheelchairs. Please Note: Whilst we have taken great care in making our Stena Europe guide as accurate as possible, onboard facilities, services and entertainment may vary depending on the date and time of year that you travel, facilities mentioned may change without notification and ferry companies reserve the right to operate vessels other than those mentioned at time of booking without prior notification. "Rosslare to Fishguard Midnight Crossing"
We enjoyed our trip. 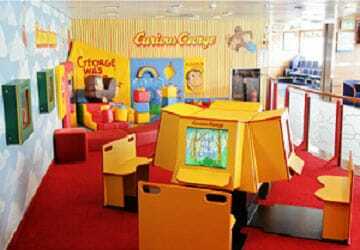 Fast and smooth crossing, Plenty for the kids to do in the children's play area including games, play area and videos. "Crossing from Fishguard to Rosslare and return." My wife and I were glad we booked premium tickets which included access to the Stena Plus lounge. The crossing from Fishguard was very smooth, but the return was slightly rougher. 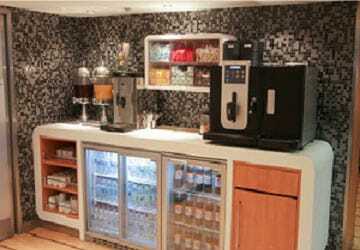 We were very pleased to be in the Stena Plus lounge especially on the return journey. 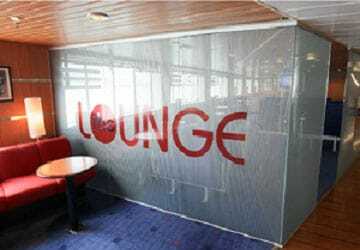 STENA LINE FERRY STAFF WERE EXCELLENT BOOKED THE STENA PLUS LOUNGE WORTH EVERY PENNY. FIRST TIME I HAVE DONE TRIP BY BOAT IN 20 YEARS BUT WOULD DEFINITELY GO THIS WAY AGAIN. They ticked all the boxes; prompt, efficient, courteous, clean and fast. Recommend them to all. 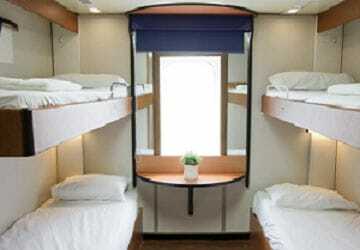 Having not been to Ireland for some 30 years I was impressed by the improvement in the comfort, accommodation and catering standard on board ship. 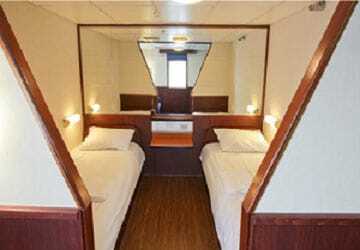 Booked a cabin on the night return trip and slept very well. No complaints at all. Thoroughly recommended by me as the best and shortest sea route to Ireland. "Ferry 'cross the Irish Sea"
Have never been a good sailor so was apprehensive about my trip to Rosslare. What a revelation! The crossing was smooth and the ship was lovely. As we were in the Senate Lounge the food and facilities were excellent - staff charing and polite. Well done. The friendly and professional services provided on my recent trip to and from Fishguard/Rosslare were pleasantly welcome. 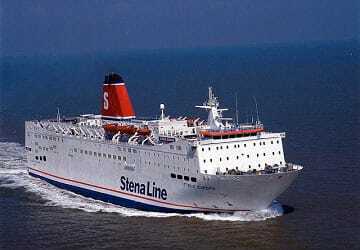 It's a pity shore staff before accessing ship at Fishguard aren't blessed with the same high standards as the Stenna Line. I very much doubt if I will travel this route ever again. The boarding area was well organised. Plenty of seating on board. The catering and bar was very good. We dined prior to landing. The only criticism was that there was no guidence from staff of when to get out of vehicles and what to do on arriving. My experience on othet ferry services in other countries there has been. Very good travel experience. Staff were very friendly and helpful. 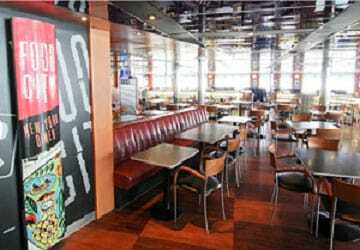 On time; very comfortable in the Stena Plus lounge where snacks excellent. Would have been even better if "sleeping beauties" hadn't snored quite so loudly preventing the silent majority from relaxing in peace. Shop expensive compared with High Street. "stenna line ferry fishgaurd to rosslare"
"Friendly and efficient service. " On time, cheerful, helpful and friendly staff. The ease of getting on or off by car was great. There was no waiting around really. Would have nice to have more food options...and the film was left on to play twice. Another film or something could have been put on.